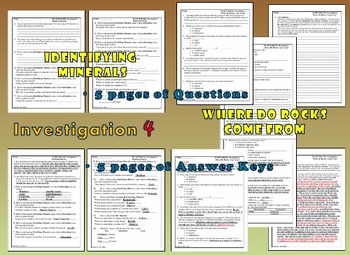 I developed these questions in order to integrate science into the ELA block. 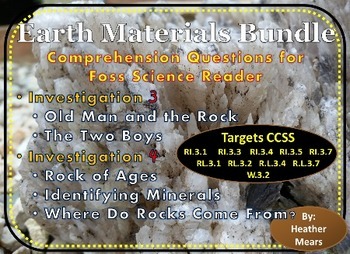 I find this to be a great way to provide more informational text to the students. 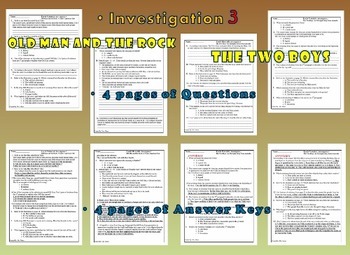 They are required to refer to the text for evidence in order to answer the comprehension questions. 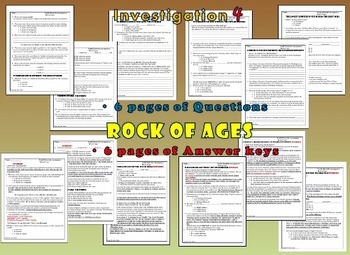 •	Investigation 4 Where Do Rocks Come From? If you were to buy these questions separately it would cost you $6.95. Buy as a bundle for $5.55. There are 2 items that are modeled after SBAC reading/writing prompts. One involves citing evidence from 2 sources, the other is writing an informational article citing evidence from the source.